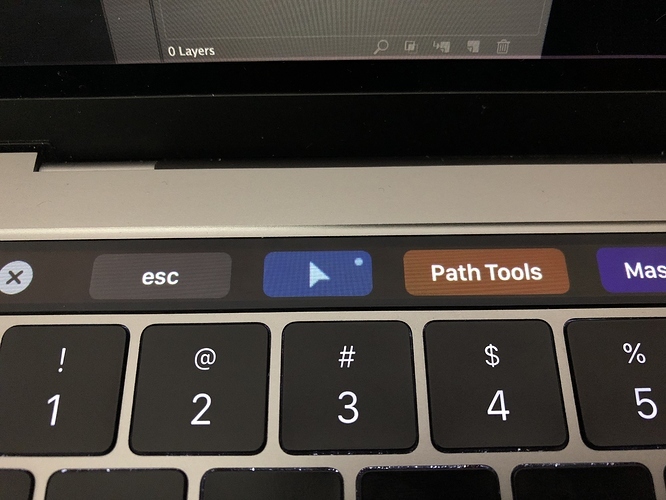 I've found most of Apple's native touchbar icons in "/System/Library/CoreServices/SystemAppearance.bundle/Contents/Resources/Assets.car" and exported all I could find with https://github.com/alexzielenski/ThemeEngine/releases. I've also named and sorted them for your ease of use. Vote this thread up if you support this work! Note they are designed for the system default touchbar height instead of the BTT default height. Read the included Read Me file for more info. Do not use this for anything other than BTT. Finishing my last years of High School, I would really appreciate any support you have for me! AquaTouch is a high-quality, dynamic, adaptive BTT preset that supports a heap of apps and websites, a proactive widget view and clean, functionally designed layouts. Although it's dynamic, It's carefully designed so that the controls you want always stay where you want them. Can BTT provide access to the native Touch Bar icons? 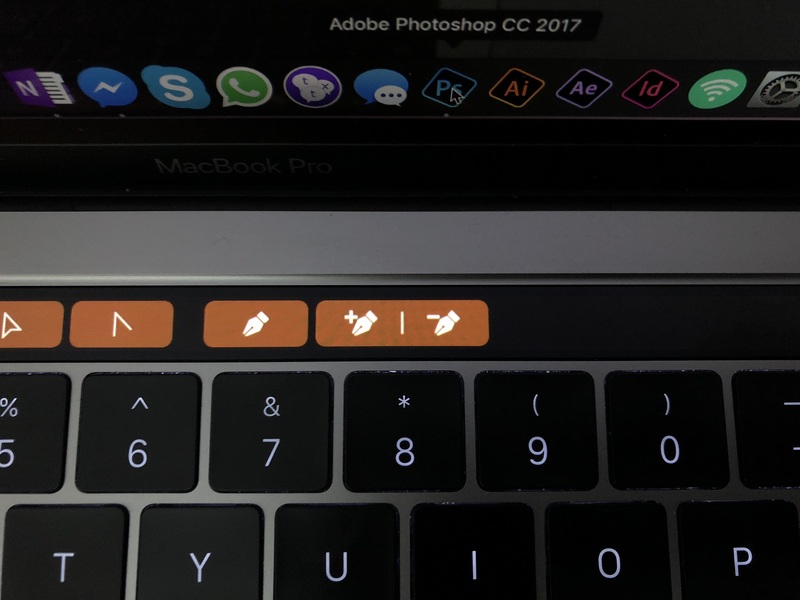 Can system touchbar icons be accessed? Thanks yyuuiko! 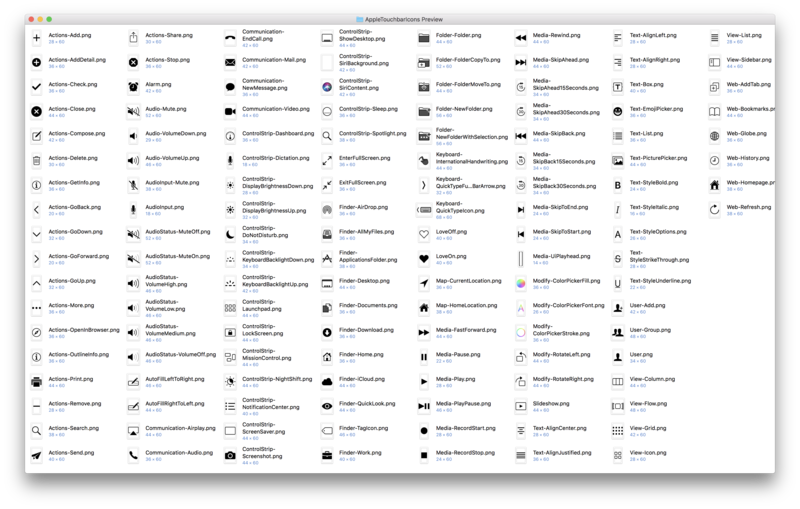 This was what I was looking for - a place to download all the Apple system icons. Very helpful!! I thought it'd be helpful! I hope it's complete, and useful for you. You might wish to update this in your download, True Tone icon! 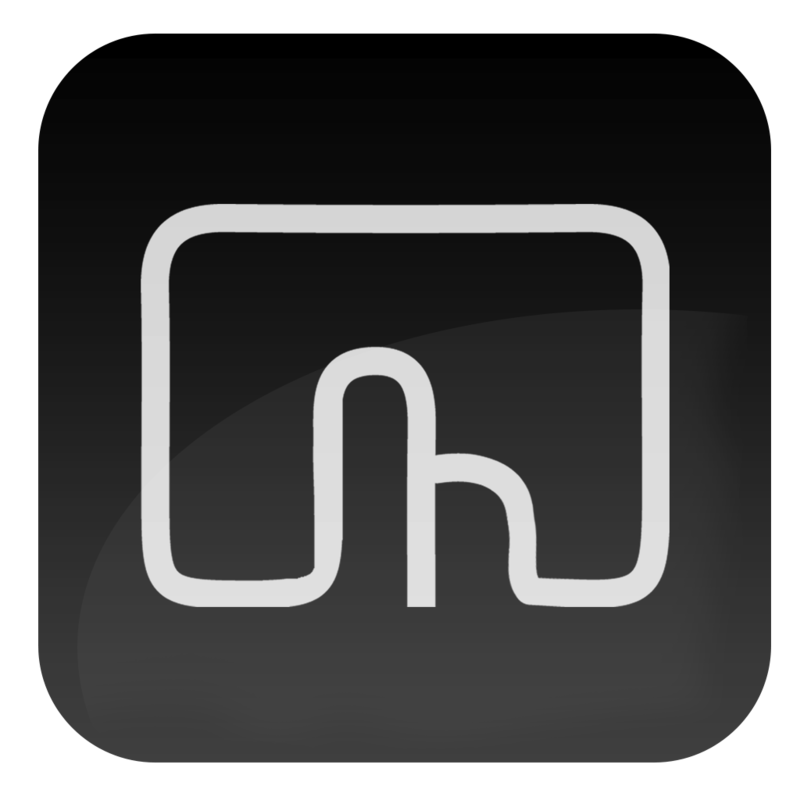 It seems like it is not a touchbar icon though, I'll edit it to fit the size. Actually shouldn't the aspect ratio of the icon files be 1:1 or square in order to use it as icon on BTT? These icons are direct from apple, I’m sure they know what they’re doing! 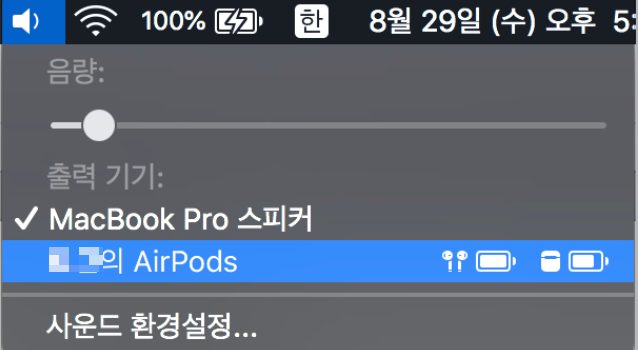 how to find AirPods and AirPods case icon? there are not airpods and AirPods case icon? If you decide not to use that checkbox, Make sure the width and height settings of the button icon is half of the image size. At the moment, I have not found the Airpods and Airpods case icon, though I haven't tried to find them. I'll try find them myself but don't expect me to find them soon, or find them at all. I can't seem to find them within /System/Library/CoreServices/SystemAppearance.bundle/Contents/Resources/Assets.car . 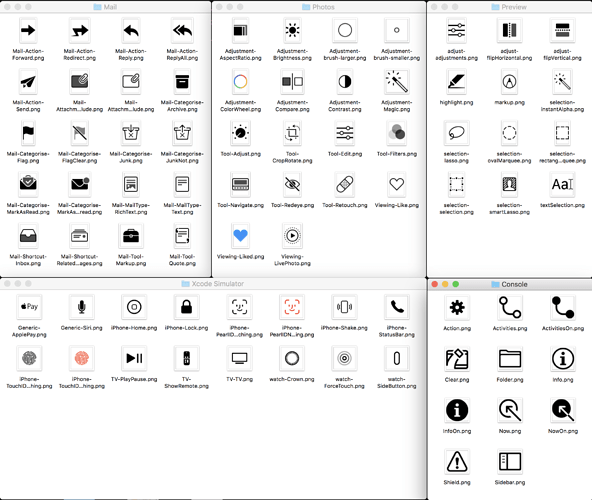 You may need to get these icons externally, or dig deeper into macOS to find some. I don't have an experience with AirPods, does macOS even display their icon somewhere? If not, then it's probably not in the system. They're probably stored somewhere else that I don't currently know yet. Do note that that bundle only includes touchbar icons, meaning if it isn't displayed in the touchbar by apple it probably won't be in the bundle. Thank you so much !!!!!!!!!!!!!!!!!!!!! I went on an icon hunt and found almost 300 more icons! Apple Icon Set v2 is here, See the top post for a preview on what's new. This is great - way better than grabbing them individually from the .car file every time. Thank you for doing this! The True Tone icon, by the way, is custom-made. I took the inner circle from the iPhone's True Tone icon and the outer "rays" from Apple's Night Shift Touch Bar icon to get what I assume is an icon identical to the native Touch Bar True Tone button if it existed. fwiw, I've been trimming Apple's to fit in squares, but I also have my own system for sizing icons that does not use the standard Apple margins but still follows the Apple sizing guidelines. 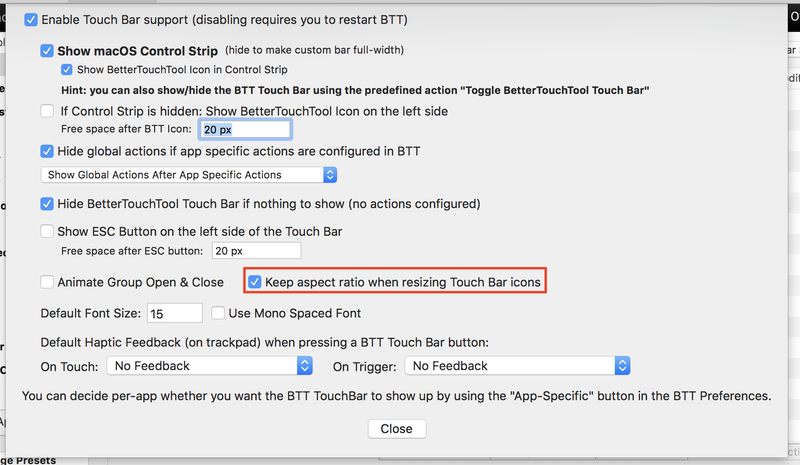 BTT definitely does not handle icons exactly like the native Touch Bar does, so I don't think Apple's margins will produce accurate results here. 2a. If the aspect ratio of the icon is wide (a la the show desktop icon), keep the canvas rectangular. In BTT, as long as you have "keep aspect ratio" enabled, the height and width can be the same value and it will fit the icon inside the square. Drop your trimmed icon into BTT and set the size between 18x18px and 22x22px. 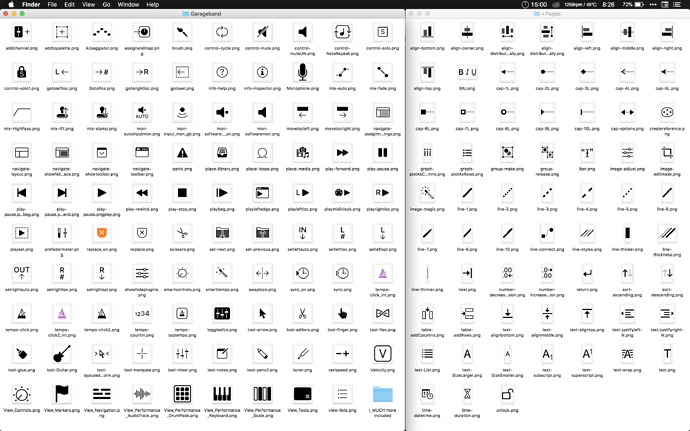 i’ve expanded some of the icons in v2 to a square. Usually its the ones that have the PDF counterpart in the folder. Apple seems to always have an icon height of 60px (the heigt of the touch bar) but crop the width to the icon, which never exceeds 60px as per the guidelines. When i found the PDF icons, they where no rules regarding their size apart from their top and bottom padding. some where 50px width and height, some where 100+, but they still had the top and bottom padding. batch resize all heights to 60px. but maybe keep the cropped-width ones for ‘pro’ BTT users who want to mess with widths. 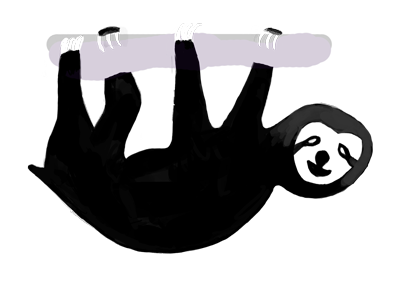 also take a look into photoshop, missed that one and clean it all up a little. I think i’ll sort it by what the icon is instead of the app it was found it in.